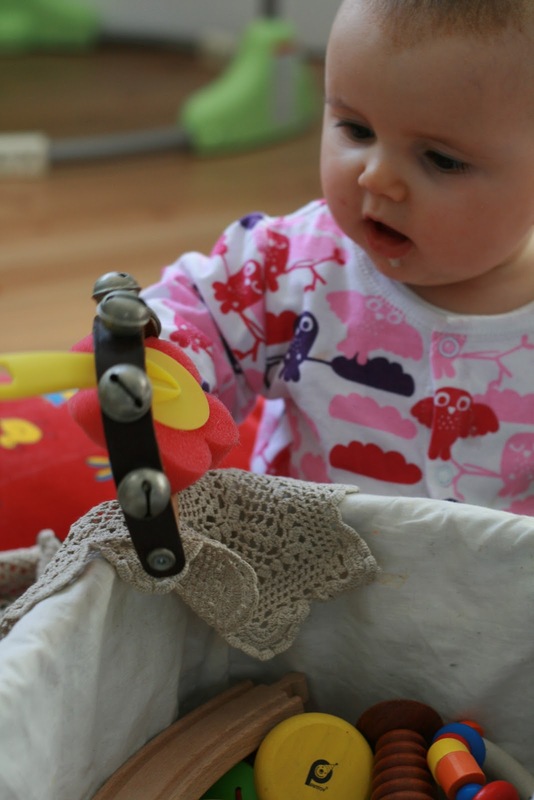 So, when Little Pop was about 4 months old I decided to make our very own treasure basket. It took no more than 10 minutes to pull all of the things together, find an empty basket and get going! Here she is enjoying her basket of wonders back in July of this year. 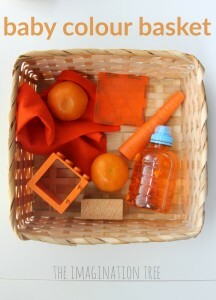 Since then, I have done some research into the thinking behind these baskets and the link to early childhood development. 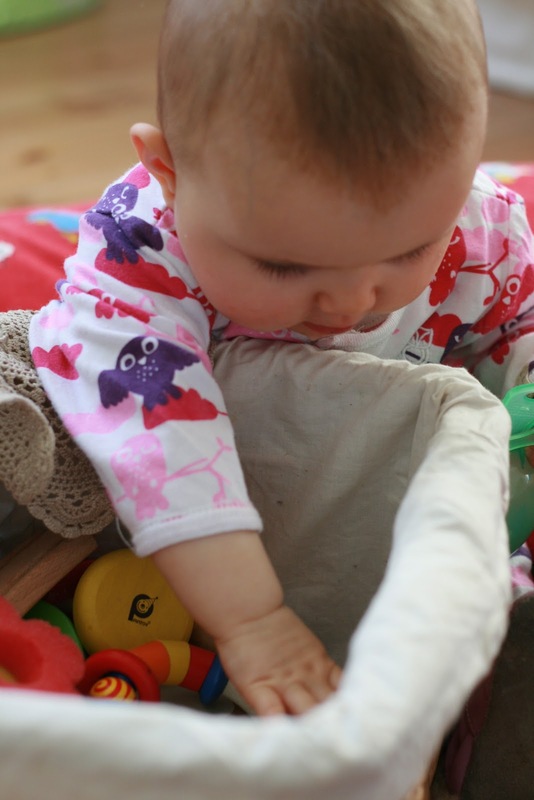 The idea is called Heuristic Play, coined by child psychologist Elinor Goldschmeid, and it simply means the discovery of the properties of objects. The thinking behind it is really nothing new. 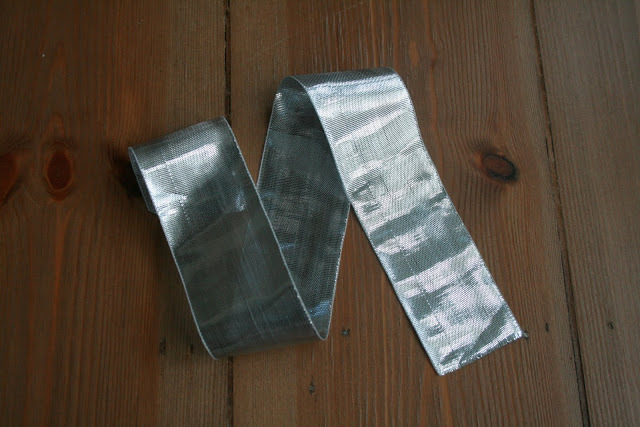 Give a young child a present and more than likely, she wants to spend time scrunching the wrapping paper and playing with the ribbon instead of with the toy itself. Our parents and grandparents already knew about this without even realising it. We were offered pots and pans in the kitchen which we banged together and explored. We poured and tipped and stirred and spooned with pasta and rice, a sieve and a funnel. We stacked up logs and rocks in the garden and made mud pies with grass on top. We didn’t have half of the junk our children have today, and actually, our imaginations and creativity were far better off because of it. 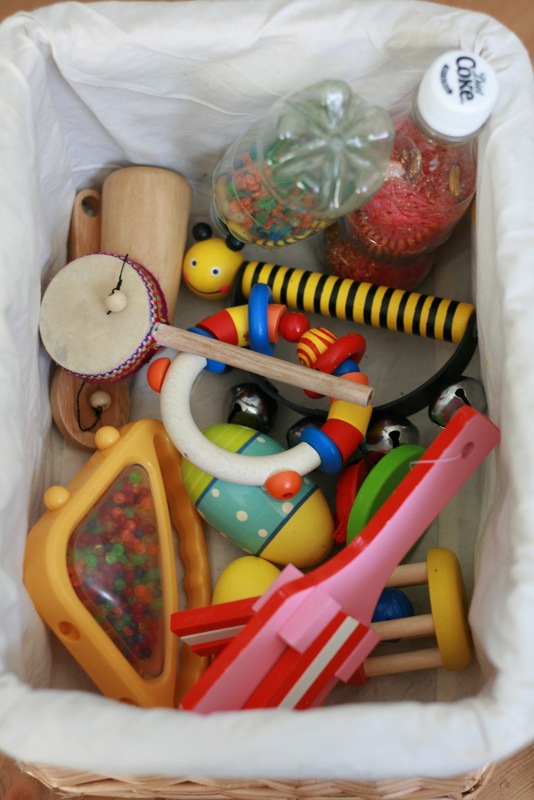 In Heuristic play sessions, you present your baby with a selection of natural or found objects, from around the house and garden and allow them the time and space to explore them using all of their senses. 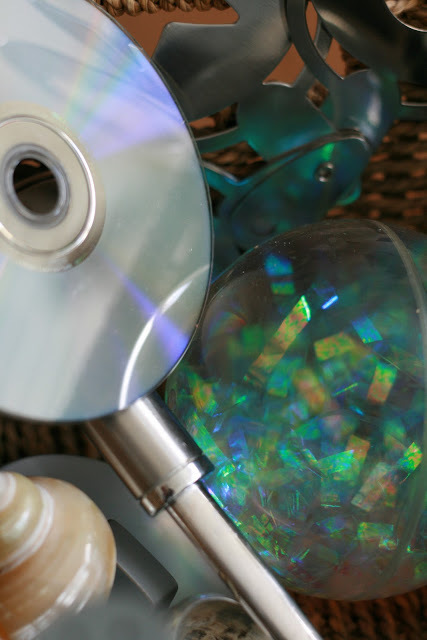 There should be nothing plastic or electronic as these are all very similar and closed in what they can do and therefore quickly become boring to the senses. 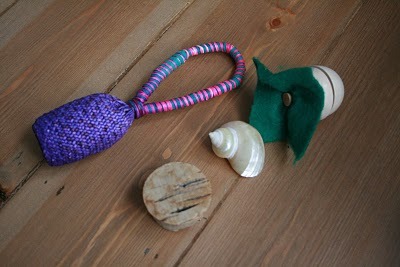 The idea is to gather around 50 or 60 small objects (not too small of course!) 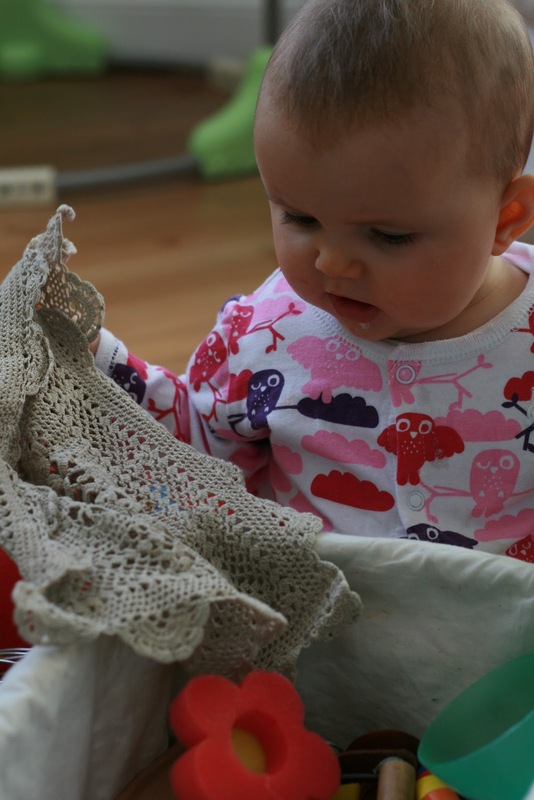 and arrange them in a shallow, round basket so that a sitting baby can reach into it from all sides. You present this to your child just a few times a week to keep it interesting and exciting, and you regularly change and update what goes into the basket. 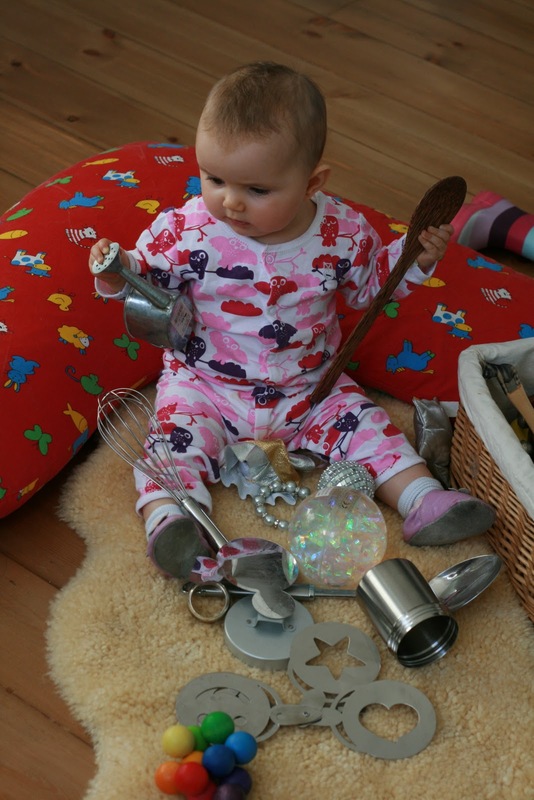 Then sit back and allow your child to play and explore, without interrupting or showing them what to do with the objects. The experts say the ideal age for these is from when your baby can sit up to around 18 months. What should go into the basket? It would also be lovely to include some driftwood and some pine cones in this basket. Here is Little Pop enjoying all of the contents of the baskets. They started off in groups but quickly became amalgamated. That’s probably a better way anyway! It was wonderful to sit back and watch her. Usually (pre-baskets!) I hand her a toy or a small range of toys and she gives them all a chew and a shake then discards them. She did the same thing with these objects, except that she continued to pull out one after the other and really explored them, examining them, tasting, feeling, banging with other things and had definite preferences for what she liked. A lot of concentration and happiness all around! Not to forget Big Sis who also loved having a rifle through. She, of course, wanted to know what everything was for, not just how it felt or tasted! Here is Pop having a good look through one basket. 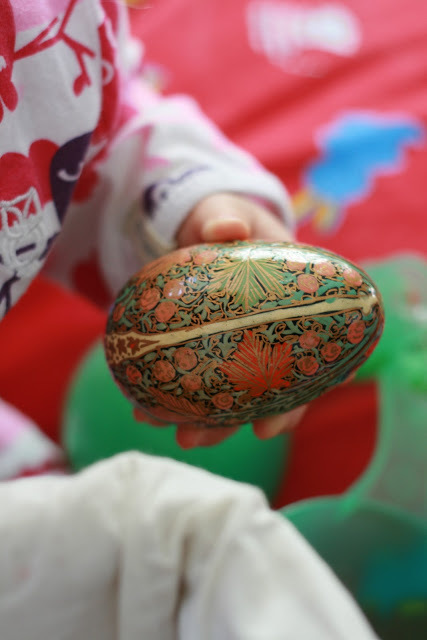 And the golden egg has become her all time favourite treasure- just like that. 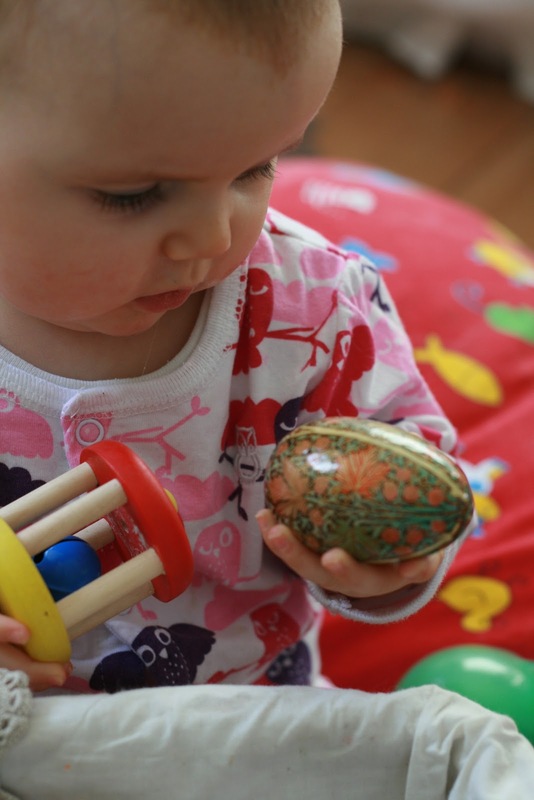 As soon as I offer her a basket she immediately leans forward and roots through to see if she can find the egg, then she gets it out, plays with it for a while, then carefully “stores” it next to her while she continues to explore. Every now and then she will pick it up and see how it works in relation to something else eg will it go inside here? does it bash nicely against this? etc. But it all comes back to that egg. 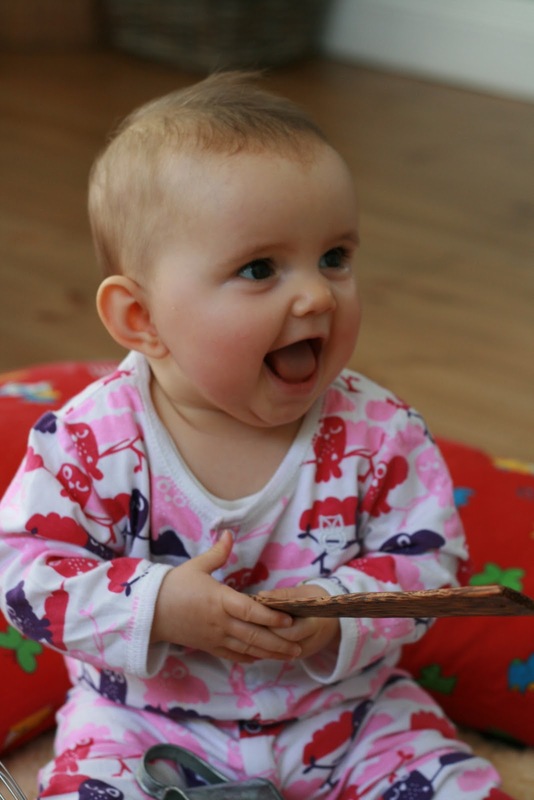 I would love to jump inside her curious little 7 month old mind! 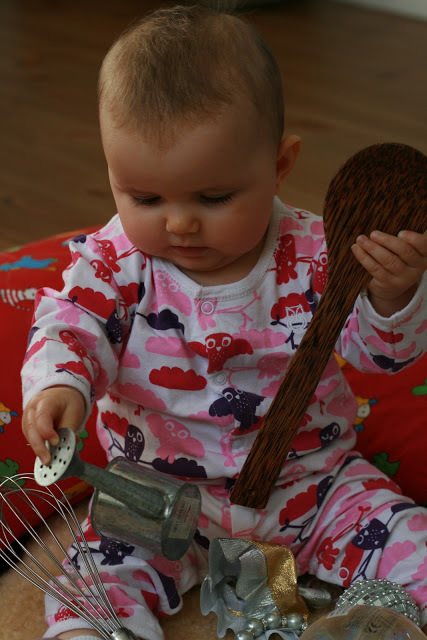 This kept her totally absorbed for about an hour, when she started to get hungry! We will be doing this much more often. 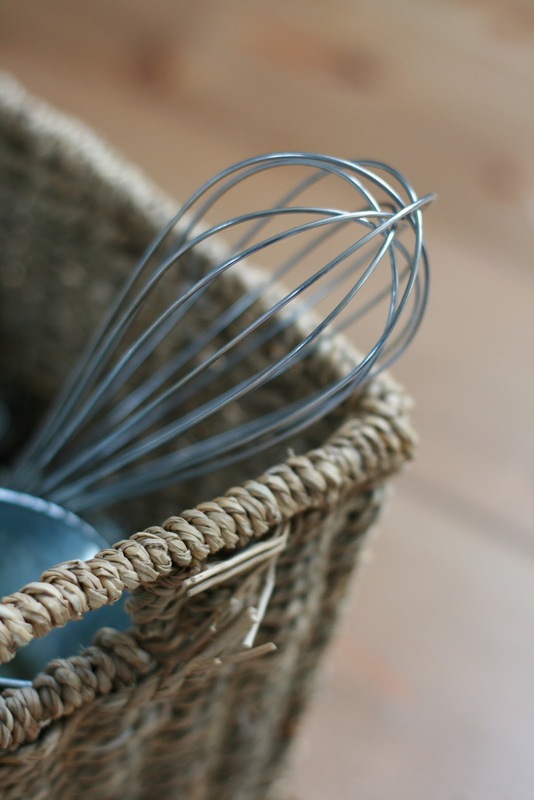 So, I am now on the look out for more wonderful objects to keep the baskets interesting and fresh. I also want to get a round, shallow one as the original idea suggests as I can really see the benefit in that. And after that, I plan to make a toddler version of this with more open-ended activities that can flow from the treasures. Those are going to be called “Discovery Boxes” and I can’t wait! 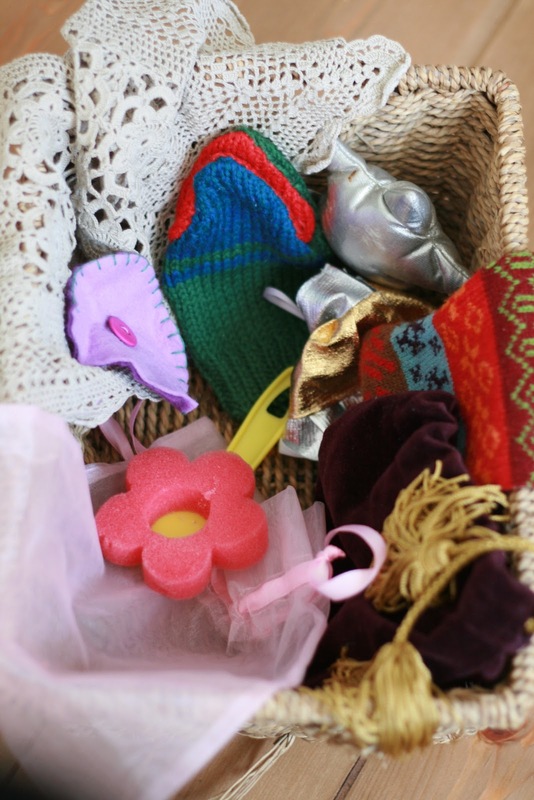 Travel Size Baby Treasure Basket! « DIY: Foam Picture Fun! Would love to see your ideas for Discovery Boxes. 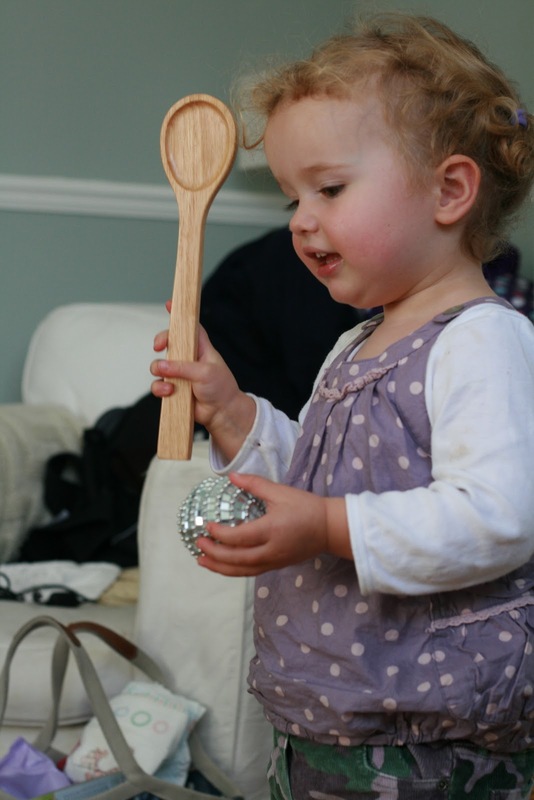 We are thinking of doing something similar for when our little one needs to be quietly occupied while the older ones are busy in the same room. Wow! 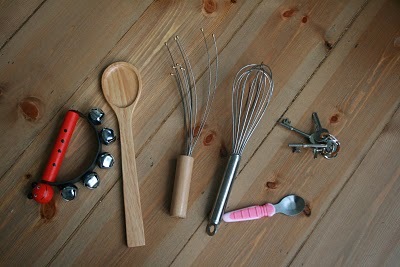 What an amazing collection of tactile/ shiny/ interesting/ noisy things!!! I have tried doing a treasure basket before, but before I manage to finish it, the toddler has emptied it and scatter all the contents around the house. Must try again!!! This looks great. When Luke was little I went with him to heuristic play sessions at the boys nursery (Nell Gwynn). It was fantastic and he loved exploring. 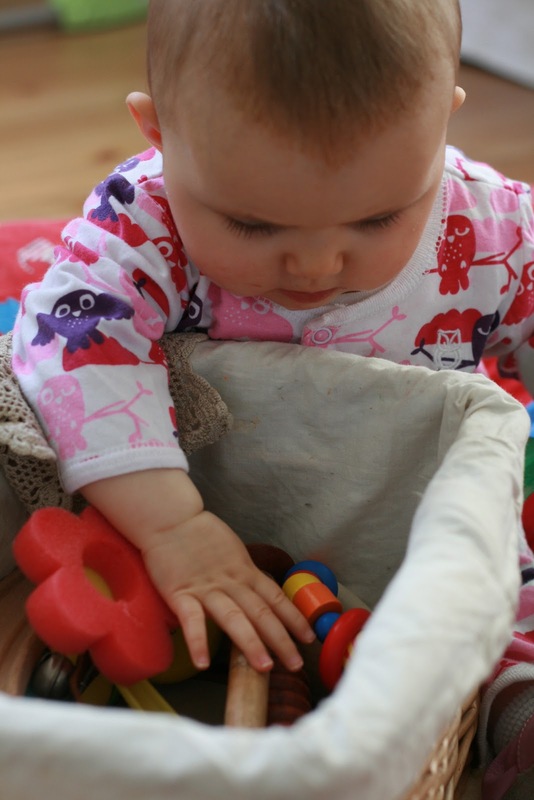 They also added larger objects eg large cardboard tubes, cardboard boxes, large pieces of different fabrics for the toddlers to drape themselves in – or whatever took their fancy! 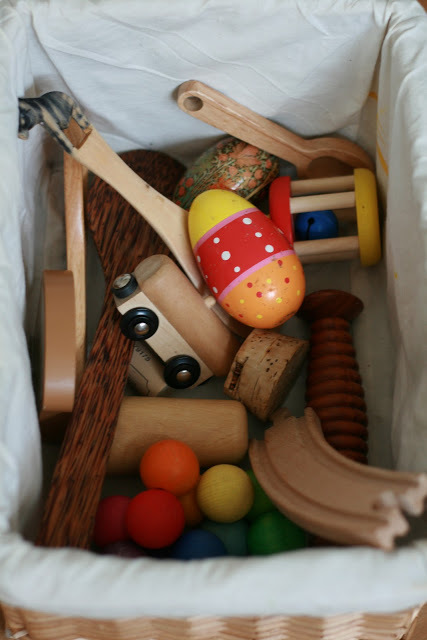 All the objects were grouped and the boxes/baskets had photos of their contents on the outside so toddlers could easily choose. One day they had 2 bowls of water on the table, one warm and one cold, for the toddlers to explore the feeling of that too. Happy memories. 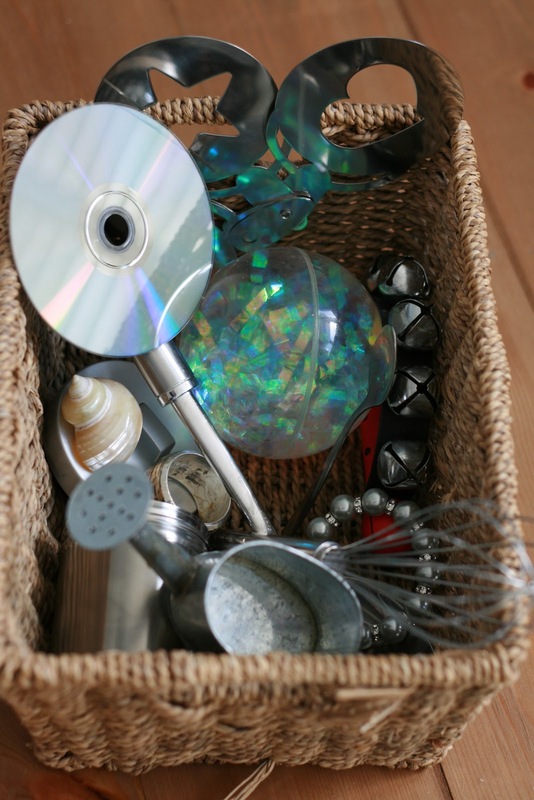 Luke still likes to make “collection boxes” from stuff around the house – wonder if that stems from the sessions?! You are welcome :). We think Nell Gwynn Nursery School is amazing! They were so inspiring and benefitial for our boys. I thought about applying for a job there this september – maybe another time. Oh how I wish I saw this when my 2 were younger! Stopping by from We Play! I learned so much from reading this post. When I first saw the title, I thought, I’m going to have to wikkipedia “heuristic play” but you did a fantastic job of explaining it. I have a 9 month old. I think these would be great for him. I also have a 2 year old who would probably dump them all out but then we can do a little categorizing with him, too! I love this! And the fact you’ve used everyday objects. They look so pretty in the basket. Love the pics. Lovely pictures! 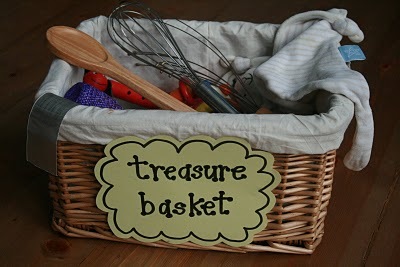 Treasure baskets are such a great idea and I like the different sorts you have made. Thanks for sharing your suggestions. Annay, you just have so many fabulous ideas on your site. I love it! Uh oh! Better keep your good stuff hidden eh?! I’m reading this at work and can’t wait to get home and start collecting bits and pieces. These are all wonderful ideas. Im sure by 9 month old will love it as she is becoming a little explorer! 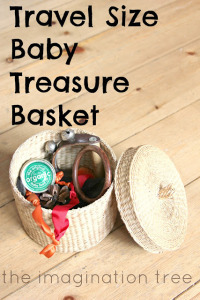 Hi, my 14 week old son had his first experience of a treasure basket at play group today and was MOST unimpressed! I guess either he’s just a little too young or the objects in his basket just weren’t his cup of tea so to speak. I’m going to make him a treasure basket of his own at home and i think i’m going to have to really experiment with what different objects i put in for him! This was truly a fascinating post! We recently moved and I think the baby toys got put into a ‘storage’ box in the garage. My baby is 6 months old and I was about ready to go buy her new toys. Not anymore! 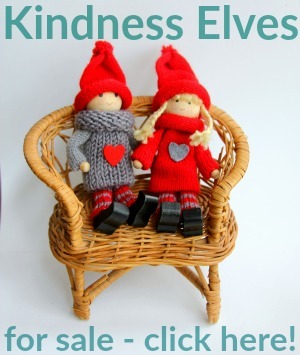 I will be making some of these baskets as soon as I can! Thank you for including all the different catagories!!! LOVE this! 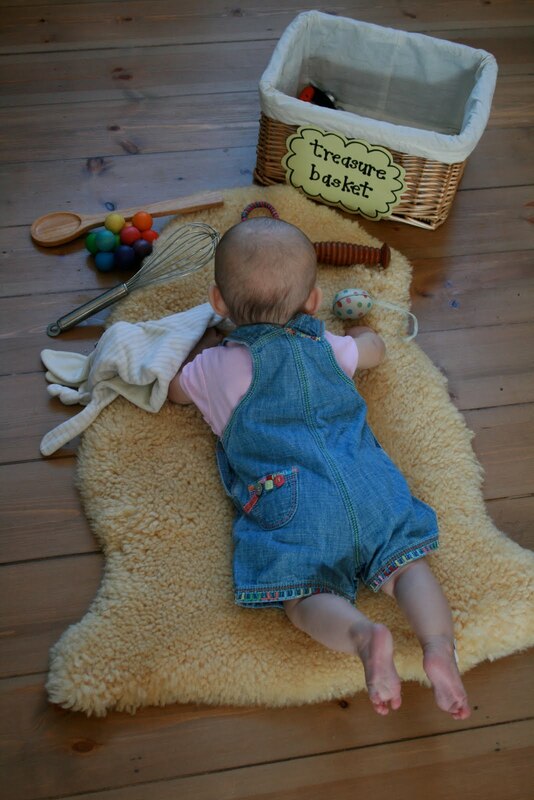 My LO has recently started sitting unsupported and I’ve placed a box with toys next to her, but these treasure baskets are a much nicer idea. 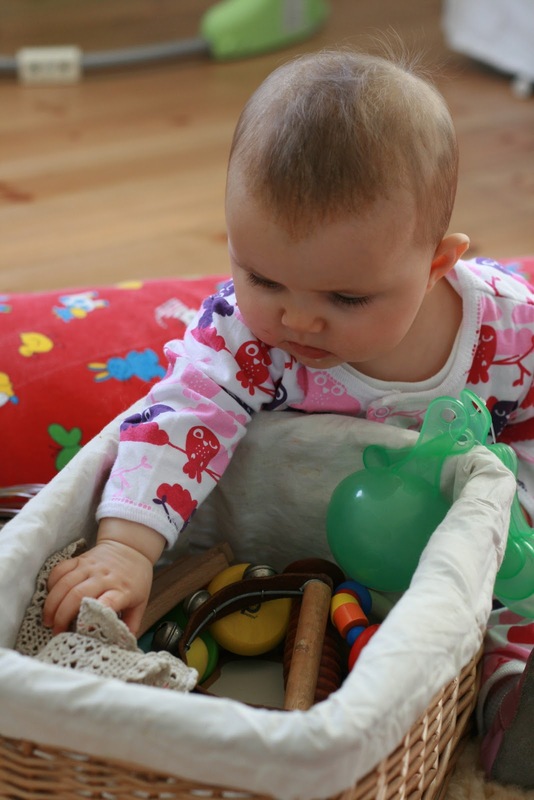 I like the different themes of the baskets too – I can tell she’s going to enjoy exploring them. I love this! My little man is six months and a half months and is getting bored with his “baby” stuff. I do give him random household objects to explore, but I love the idea of collecting a group of them and placing them in a basket together. Off to do this now! 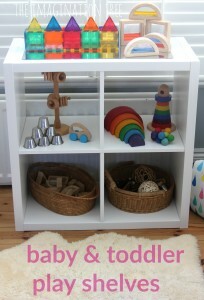 I had heard of treasure baskets and even sent some bits and bobs with LO to Nursery to help make theirs. But I LOVE the idea of giving them themes. I am a crafty type so I am off to find all sorts of exciting fabrics and ribbons for my baby. THANK YOU for your website, what a blessing. 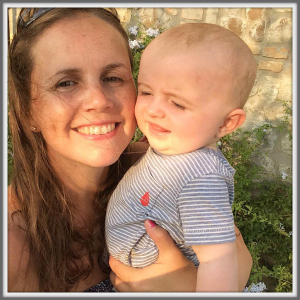 I know I can be a fun mummy if only someone gives me a whole heap of ideas, and here you are! Thanks again.